What has happened to Broadway? She quickly added this sentiment “came from the writers” but her words were met with loud applause from the US industry attendees. Had a UK artistic director made such a comment about only producing British playwrights, they would likely be met with derision. Rothman’s remark captured a growing frustration within the US theatre industry, whether in dramatic writing or performances on Broadway – that it’s frequently become dominated by UK transfers. The Drama Desk Awards may have tried to make a statement about this by leaving out Harry Potter and the Cursed Child for a best play nomination. This past season, both in productions and casting, ‘Brits on Broadway’ seemed more evident than ever. Take a look at last week’s Tony Awards. The nominations for best play were: The Children, Farinelli and the King, Harry Potter and the Cursed Child, Junk and Latin History for Morons. Out of these five nominations, three were UK transfers, leaving two US nominees. Junk, Ayad Akhtar’s new play, was not as strong as his last Broadway outing – the powerful Disgraced – and while John Leguizamo’s enjoyable Latin History for Morons made it on to the nomination sheet, he was already being awarded a special Tony, that by default gave some acknowledgement towards new US writing. What happened? Only a few seasons ago, Broadway was celebrating powerful and urgent new US plays on Broadway such as Eclipsed, Sweat, Clybourne Park and August/Osage County. It had been the same with a renaissance of powerful, groundbreaking, original and diverse US musicals such as Hamilton and Dear Evan Hanson. In contrast, all of this year’s best musical nominations were adapted from films – Mean Girls, SpongeBob Square Pants, The Band’s Visit and Frozen – with The Band’s Visit the closest to reflecting past developments and achievements in the art form. That’s not to say these other musical nominees weren’t spectacular in staging or accomplished in terms of performance and direction. However, over the past 12 months, Broadway has become more of a entertainment theme park than the nation’s drama and musical theatre capital. Bruce Springsteen’s solo show is occupying one of Broadway’s finest playhouses for an extended season and playing only four performances a week. At the same time, one of the great modern US plays, Angels in America, has become the most Tony nominated play in history… but in a UK-made revival transferring from London’s National Theatre. Something is inherently wrong. 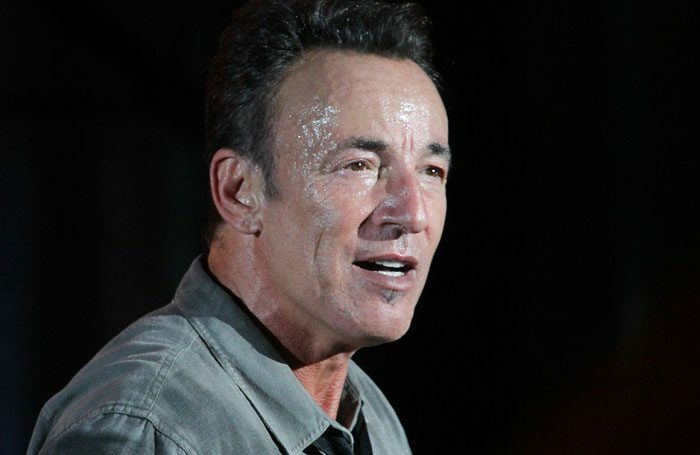 Is Springsteen good news for Broadway? His landlords clearly think so, with healthy bar takings and plenty of premium ticket sales. The Tony nominations’ committee even awarded him a special award, tactically assuring the Boss’ presence at the ceremony, which is good news for TV ratings. Howard Sherman: Is Broadway finally ready to rock? Undoubtedly other musicians motivated by Springsteen’s success will now also start eyeing up Broadway – I am sure Billy Joel is already dusting off his back catalogue. But Broadway does not need more musicians doing extended seasons to prop it up it. Broadway should be depending on good writers with first-class productions of new, and classic, plays and musicals, in the best theatres available to them. Of course, the argument is that Springsteen playing Broadway attracts new audiences. But are these same audiences really rushing out afterwards to buy tickets to other shows? They certainly didn’t for Jimmy Buffett’s Escape to Margaritaville. This past season was a game of two halves and by Christmas it felt quite bland. Hogwarts taking up residence on 42nd Street and Glenda Jackson giving a remarkable performance in Three Tall Women, helped lift it, but the Great White Way still fell largely flat. Even the Tony nominations announcement, presented by Leslie Odom Jr and Katharine McPhee, lacked spark in their clumsy delivery. This only served to reflect the feeling of general malaise about this past season. The nominations again raised questions over the decision process. Flopped shows were undeservedly overlooked even if they featured incredible performances like that of Jin Ha in M.Butterfly, which was one of the seasons finest. Equally, in the category of best featured actress in a musical, the biggest omission was Kate Rockwell whose stand-out performance in Mean Girls, alongside an outstanding cast, helped make an otherwise average musical fly. Instead, there was the rather bizarre decision to nominate Diana Rigg for her pleasant, but hardly ground-breaking, non-singing cameo in My Fair Lady – possibly further demonstrating both the US fascination with ‘Brits on Broadway’ and how baffling Tony decisions can be. Whether voters had simply not seen the productions that closed early, or just went for acting names they recognised, the award nominations lacked the excitement that some of the notable omissions could have brought. The Tony Awards are hugely influential in the US theatre industry. Best production winners can, as a result, land tours and licensed productions at theatres across the country. The 2017-2018 season may just have been a blip, and next year may be different, but Rothman is correct. With revivals of The Iceman Cometh and Carousel currently on Broadway, there’s a reminder of past glory when commercial, cutting-edge and original US work helped define the industry. Her new Broadway theatre certainly has a key role to play in all this, but so too does the work itself.